The spring temporary road weight restrictions became effective on February 27th in some towns and on Vilas County Highways. Be advised to watch for signs on St. Germain roads very soon. Effective dates for the restriction period will also be posted on the “Public Works Committee” page of the town website. Please be reminded that Wisconsin Statutes regard dog license applications submitted after April 1st as "LATE" and require that fees for late license applications increase by $5.00. For more information about St. Germain's dog ordinance, visit "Chapter 11, St. Germain Code of Ordinances - Dog Licensing and Control"
The Town Board is working with the St. Germain Chamber of Commerce Board of Directors on the chamber’s plans to replace the existing town owned chamber building. The chamber will construct the new building without financial help from the town and the land will remain in the town’s possession. Ownership of the building will revert to the town when the chamber’s mortgage on the building is satisfied. The two boards are discussing the content of a lease agreement that will provide the chamber with long term use of the building. Construction is tentatively scheduled for the fall of 2017. Watch for further details over the coming months. 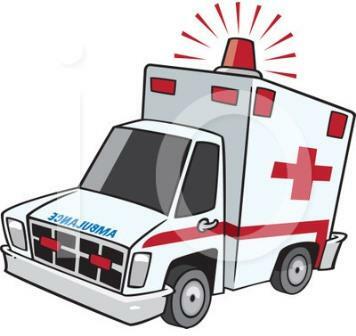 The Town of Plum Lake has informed the St. Germain Town Board that Plum Lake will soon be purchasing a new ambulance. Plum Lake requested a financial commitment from St. Germain of $100,000 over a five-year period to cover half the cost of the new ambulance and to assure continued service in St. Germain. In response to this request, the two town boards met and agreed to form a committee of representatives from both towns to consider formalizing the proposed partnership. One of the possible outcomes of this will be the creation of an Emergency Medical Services (EMS) District. In the meantime, the St. Germain Town Board is investigating other ambulance service options for the town to assure that we commit to an appropriate balance of service and cost. Watch for more details over the coming months. The St. Germain Non-Motorized Trails Committee and the St. Germain ATV Club will be discussing the possibility of establishing two recreational trails between the Community Center area and Half Mile road, approximately 1 mile north of the Fire Station. Both trails would be in a strip of wooded land approximately 50 feet wide adjacent to the Awasa land. Watch for further details over the coming months. Town board and committee meeting agendas, approved meeting minutes and other information are uploaded to the town website several times each week. Your portal to town government is always under construction! Use the link at the end of this message to Check it out. Your town board would appreciate your suggestions regarding these outreach messages. 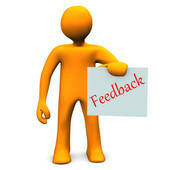 Do you have a topic you would like included or maybe a suggestion of how to improve the messages? Visit the "Elected & Appointed Officials" page of the town website for contact information or use the e-mail link below. Your feedback will be appreciated!